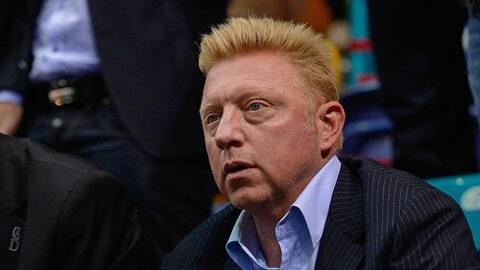 Six-time Grand Slam tournament winner Boris Becker now coaches Novak Djokovic. KEY BISCAYNE, Fla. — Novak Djokovic will try to win the Sony Open without his new coach, Boris Becker, who is unable to travel because of surgery this week on both hips. Becker had planned to be at Key Biscayne before scheduling the surgery last week, Djokovic said Thursday. He said Becker hopes to resume traveling beginning with the Monte Carlo tournament, which starts April 13. The 46-year-old Becker, a six-time Grand Slam champion, joined Djokovic’s team at the beginning of 2014. Djokovic won his first title this year last week at Indian Wells. ”The benefits and the effects of our incorporation, Boris and mine, hopefully we will see in the rest of the season,” Djokovic said. Ranked No. 2, Djokovic is a three-time Key Biscayne winner.